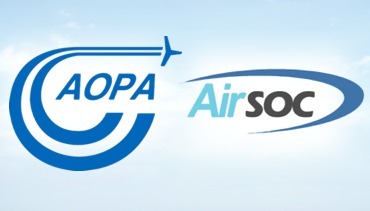 The organisers of AeroExpo UK are pleased to confirm a working partnership with AOPA UK and Airsoc for its 2014 event. AeroExpo UK seeks to establish a regular AOPA Members Fly-In at its annual event. The Partnership involves co-promotion of all organisations. The Aircraft Owners and Pilots Association UK is a part of the biggest association for pilots on the globe, consisting of above 430,000 members and spreading over 66 different countries. Through this partnership AOPA UK and Airsoc want to reach out to members at the AeroExpo UK 2014, meeting face to face and also looking to make contact with new candidates for membership and building relationships. The AOPA United Kingdom, a not-for-profit organization, carries out and meets the interests of the members, such as pilots and owners of aircraft. It also helps to promote the safety, utility, economy and the popularity of flight in general aviation aircraft. Balloons, microlights, sea planes, fixed wing singles, airships, twin piston and turbine, and helicopters are all part of the clientele of the AOPA who receive our catering and services. AOPA’s aim includes the maintenance and overlooking of proper regulation inside the United Kingdom and Europe instead of just regulations revolving around a few specific issues or entities. Their activates are supplementary to the functions of various representative organizations that deal with specific focus, including instrument rated pilots, vintage, microlights, business flying, homebuilt, gliding, and a wide range of other ways of getting into the air. Airsoc.com is an aviation social network website incorporating social networking, up to the minute news articles and advertising. Airsoc’s website offers pilots and aviation enthusiasts a place of interest, fascination and fun creating a great place to learn about and appreciate all aspects of aviation. Airsoc’s mission is to create a community where all lovers of aviation can learn, interact, share, buy and sell. This partnership will help create a strong networking collaboration between all organizations, helping bring all aviation sectors together.